Grounded Aerial® exists to spread the joy of aerial dance through education and performance. Over the last 18 years, our passion, experience and dedication to safety have enabled us to bounce and fly around the World. Grounded Aerial® is perspective-shifting, heart-pumping, soul-cleansing fun. Allow your mind, body and spirit to be free. Let’s fly. 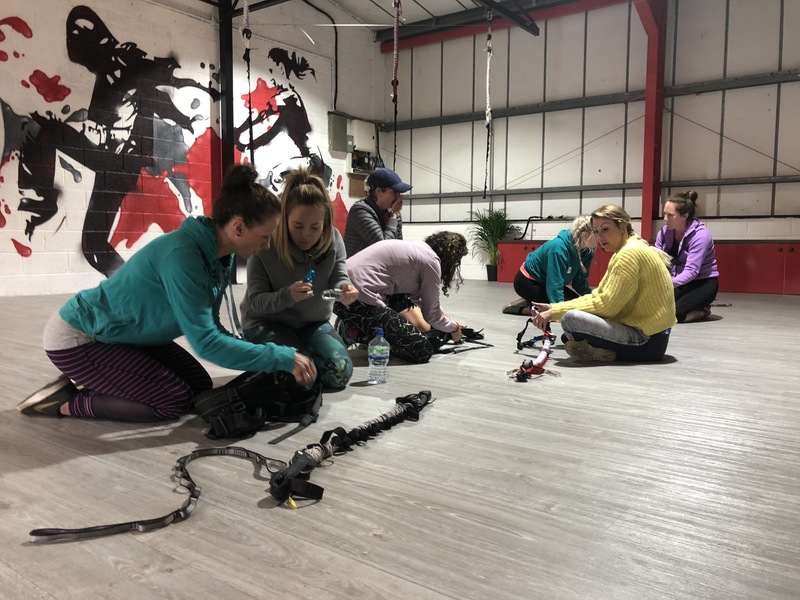 Whether you’re looking for bungee training, workshops or classes, we have a complete range of programs for all levels and abilities. 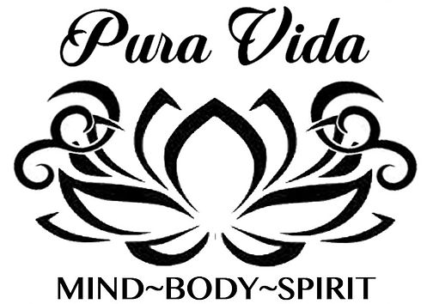 Outlined below is our educational curriculum complete with pricing information. For more information about Grounded Aerial® performance pricing and program offerings please contact groundedaerial@gmail.com. Grounded Aerial® continues our year of touring. Don’t miss out on upcoming tour dates. Find your destination location below for classes or certification and licensing. 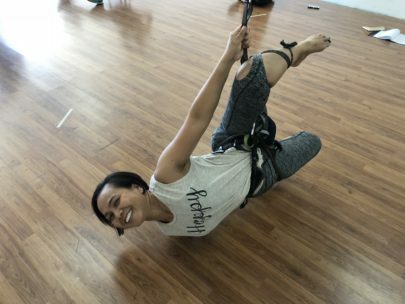 Interested in hosting Grounded Aerial® bungee classes at your studio or getting certified? Check out our hosting information page here. Thanks to Angharad James at Studio 17, Wales, and all the Hijinx Theatre members. Diolch! 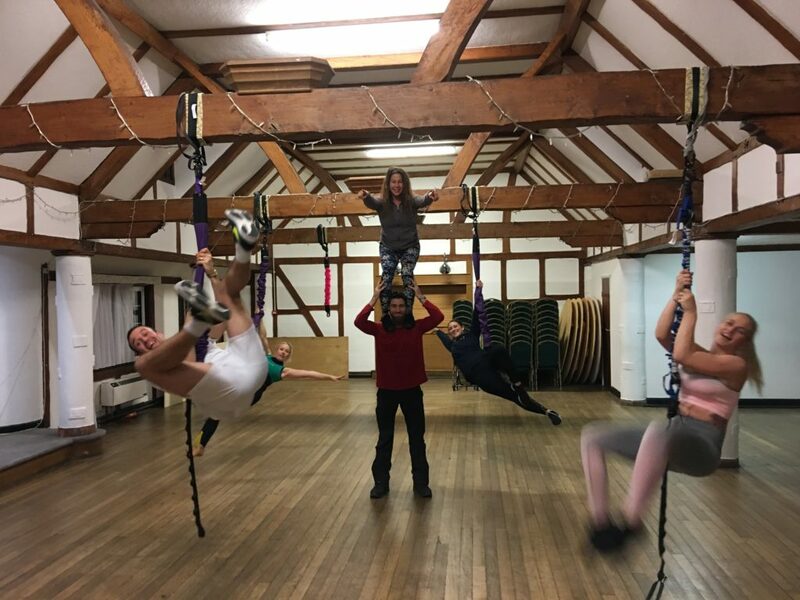 Thanks again Kat Bailey for bringing Grounded Aerial® to Nottingham. 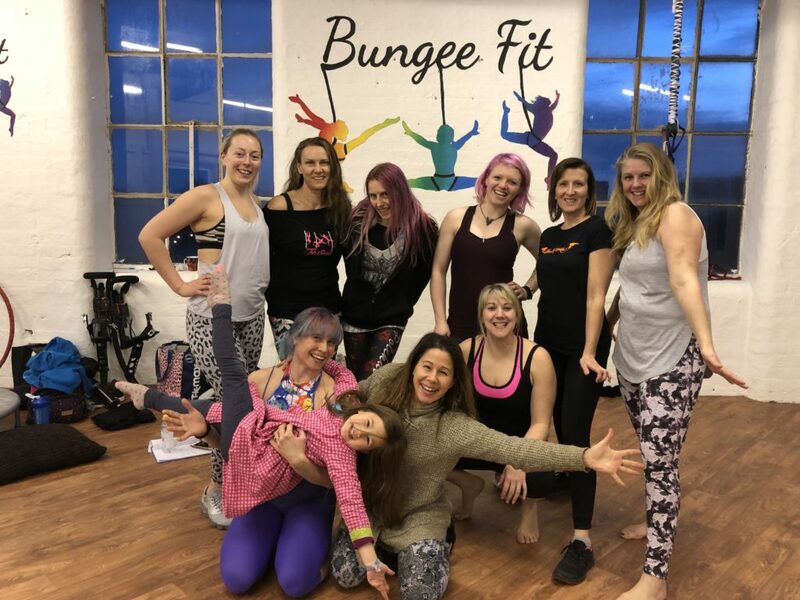 Cheers to all our recently certified trainers from GB Fitness and Kirsty Bell who attended training in Frinton, UK. Grounded Aerial® bungee classes teach dynamic and graceful movements aided by a bungee and safety harness. 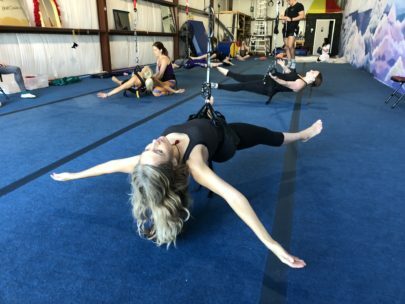 Grounded Aerial® Bungee Classes allow anyone to experience a fun and physically challenging hour of flight. Movements augmented by the bungee are incredibly empowering, rewarding, and addictive. Although flying might appear easy in videos, it is harder than it looks. Modifications and challenges can be applied to any term to decrease or increase the difficulty. Class participants work at their own pace with needed modifications/challenges. 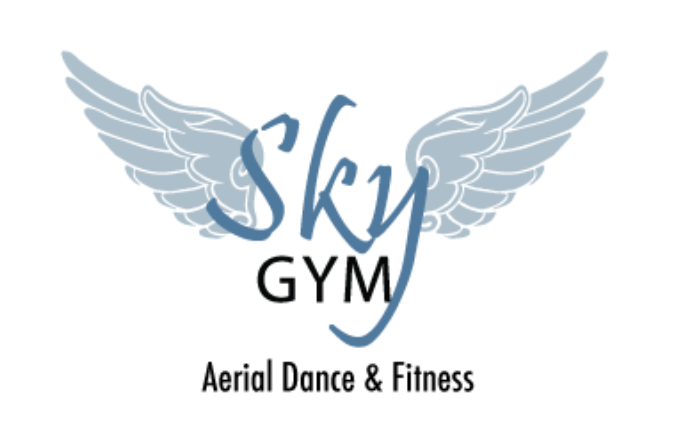 Traditional dance instruction is also available from Grounded Aerial® Owner, Karen A. Fuhrman, in a variety of forms. In addition to typically structured classes, Karen also facilitates in-depth musical theater and character-based workshops. 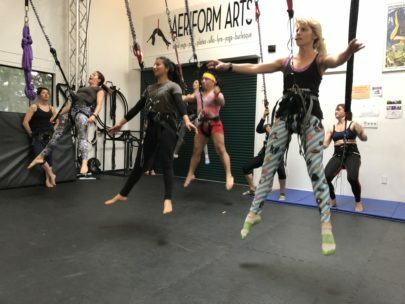 Straight technique classes for ALL adult levels in: Modern, Ballet, Musical Theater, Jazz, Tap, Tumbling, Ninja obstacle courses, Juggling…and more. Choreography Development and Creation (for 6 year olds to senior citizens,–Everyone can make dances. For non-dancers!!) Ms. Fuhrman has toured the world holding workshops such as these via the modern dance company, Pilobolus. Utilizing team-building strategies, we develop our self-esteem, stimulate creativity, get a great work out, and laugh a lot. From womens’ night-out, to executives that need to work on their communication skills…this is a fun and liberating experience for all. Line and Strengthening This class can be for novices to pre-professionals to work on their ballet, stretch, and strength. Exercises and combinations that will enhance performance, aerobic and anaerobic conditioning. Character Development Classes- Ms. Fuhrman assists and facilitates what the artist is already working on. She takes her 20 years in the industry and enhances the piece with technical precision and detailed artistry. With an already created piece, or an idea that desires to be fleshed out– this class helps develop work to the next level via journaling, lecturing, and application. (for the air or on the ground). Participants often praise Karen’s ability to allow creative exploration into a character’s movements. We feely investigate shapes/actions/motivations/inspirations/limitations and their influence on body language, posture, gate, gaze, speech and more. Stretch for All- The advantages of stretch have been proven scientifically as a giant aid to health and happiness. A combination of yoga, ballet, and Pilates accessible to all levels enables enhanced movement to all types. 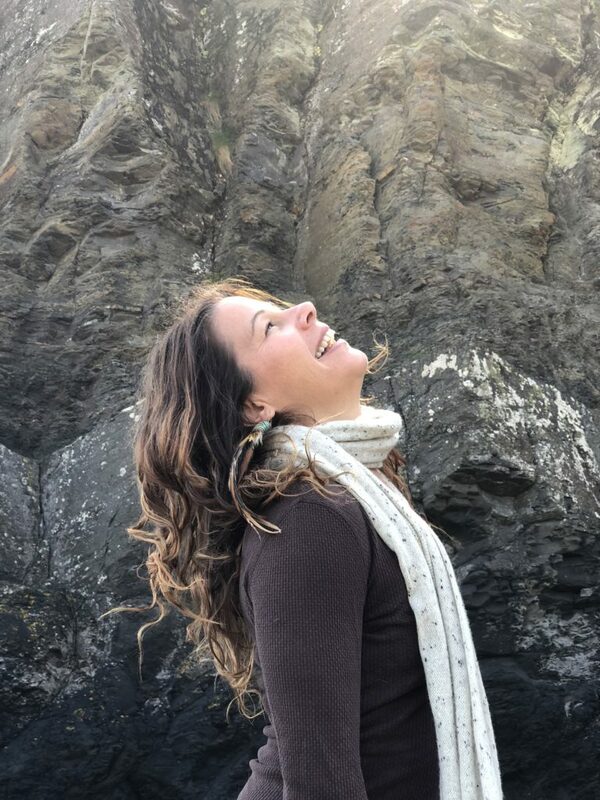 With her Masters in Dance Education, Ms. Fuhrman gently and diligently assists each person to relax, strengthen, let go, and stretch via breath, imagery, and anatomical aides. 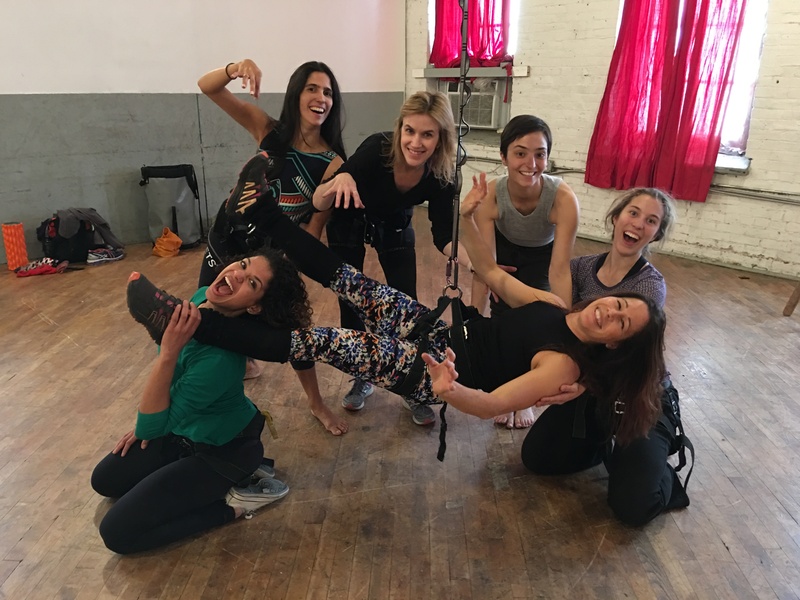 Contact Improv class/ Weight sharing classes- learn to move with a partner and develop muscles and communication skills that enhance your physique and ability to interact and problem-solve with others. For ALL ages and movers. Improves stability and balance. A ton of exploration that helps illuminate the importance of staying in present moment and that application to life. Very therapeutic. 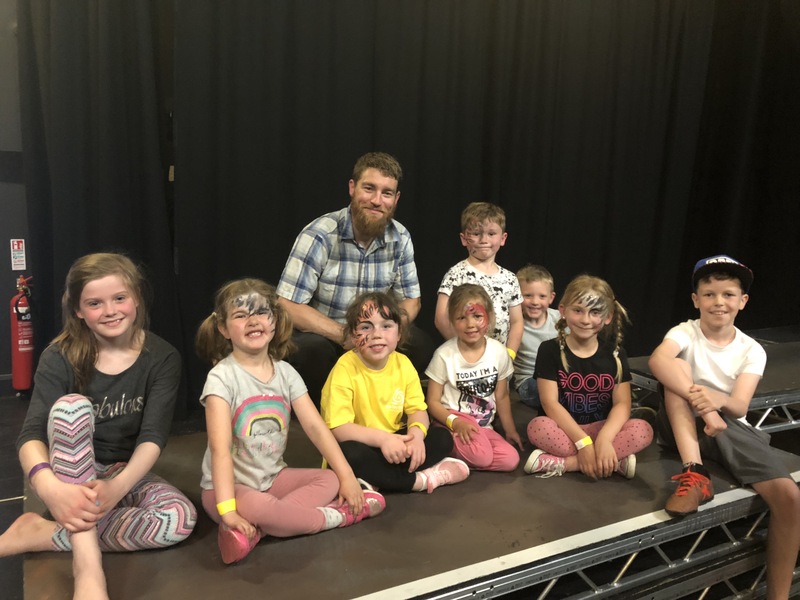 Wall Dancing Classes– Dancing and flipping on the wall. 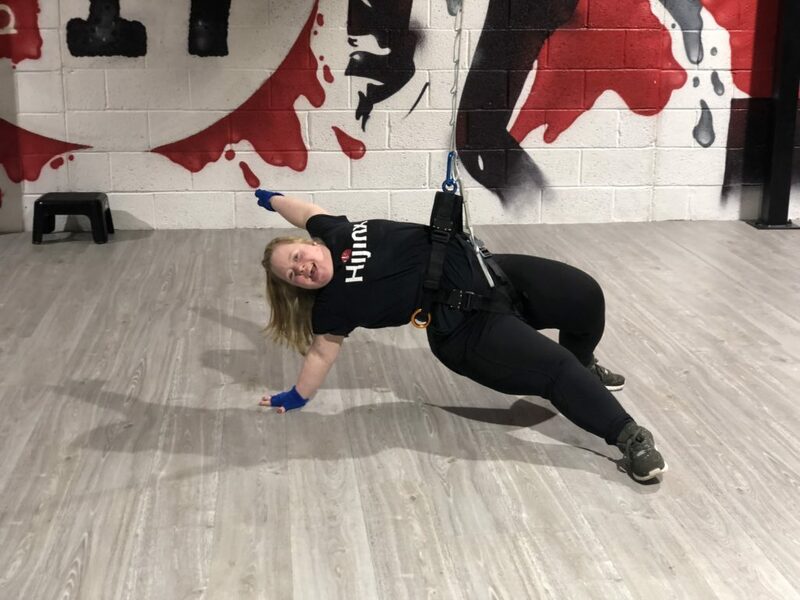 A ridiculous work out, perspective shifter, a really fun time– and another reality of the horizontal aerial world! 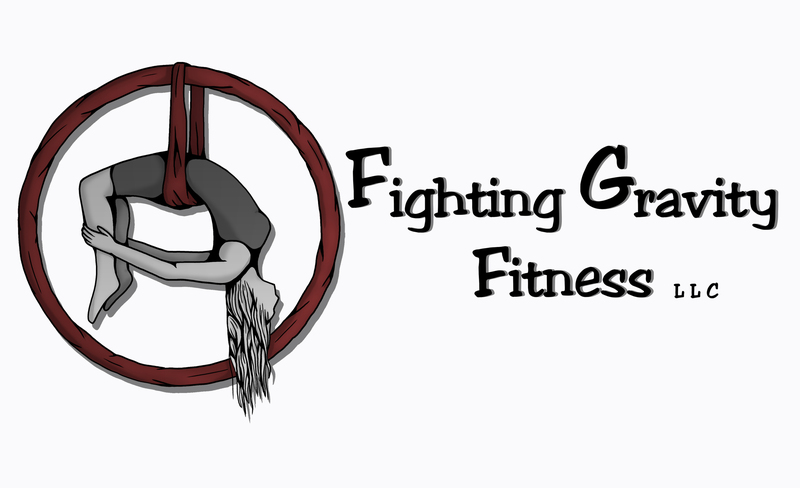 Ninja and Gymnastics based classes are delivered by Jason Heartsfield. His multi-sport background, includes Gymnastics from both a competitor’s and coach’s point of view. The highly technical nature of the sport has greatly influenced his thoughts and attitude in life. Ninja obstacle course @ D18 in Milford Haven. Day 2. Ninjas smile. Grounded Aerial® workshops allow a deeper exploration into terms, and group movement principles. Grounded Aerial® hosts dynamic workshops focusing on skill development and execution. We take great pride in our community-focused atmosphere which allows judgment-free expression and growth. Workshops can serve as a stepping stone towards certification and licensing. 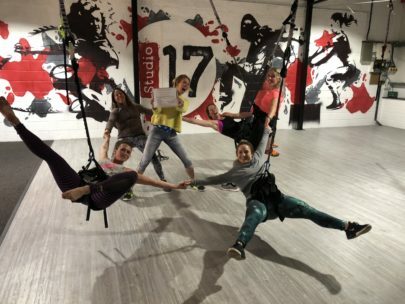 These fun, low-cost, skill-focused, 2-4 hour sessions provide an intermediate step between a one-hour bungee class and a sixteen-hour certification/licensing agreement. We can also custom design a workshop for the needs of your students. Grounded Aerial® Bungee Training is a 16-hour course and licensing agreement which teaches the professional instruction of aerial bungee. We guide trainers through safety instruction, terminology, pedagogy, spiritual mindsets and application, business practices, maintenance and more. Our unique program concentrates on mind, body, spirit via bungee. 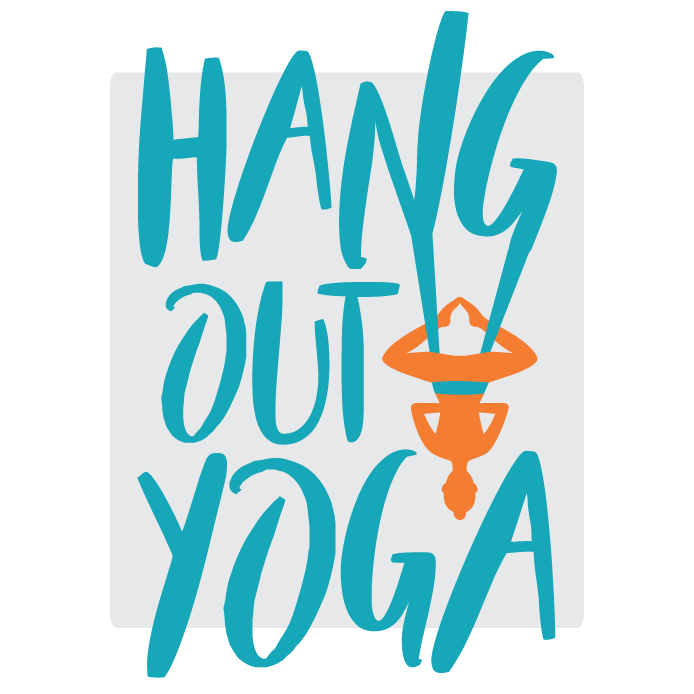 This dynamic, fun, empowering, and enlightening workout is more than just skills and reps. 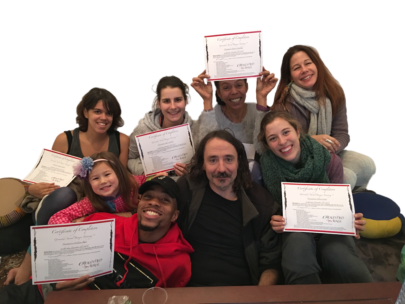 Ground Aerial’s® expertise in teaching pedagogy coupled with almost 2 decades of professional aerial experience make this course one of the most highly sought-after certification programs in the world. Certificate applicants must first attend a workshop, to satisfaction, prior to enrolling in Grounded Aerial® Trainings. An extensive movement and/or teaching background may be submitted to waive this requirement. Final licensing eligibility is established after a three part exam testing trainers’ written knowledge, movement capability and teaching prowess. Licensing fee $25/month provides licensed trainers access to GA®BT LIVE. This members only section of www.groundedaerial.com is an abundance of educational support, info on class structures, streaming music, and user generated content. Grounded Aerial® licensed trainers demonstrate excellence in all domains. 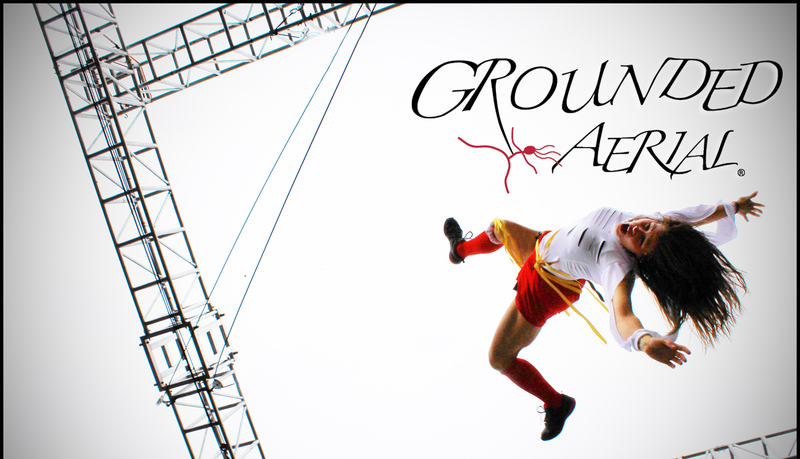 Grounded Aerial® aspires to maintain our spotless safety record as well as artistic excellence. Depending on exam results, Grounded Aerial® will either mail the certificate immediately, or potentially require a 6 week probationary period for those who have not completed the requirements of the exams on a satisfactory level. If needed, we ask for additional study, exam corrections and video evidence illustrating mastery of deficient areas. Login with Facebook to ask questions and discuss content.